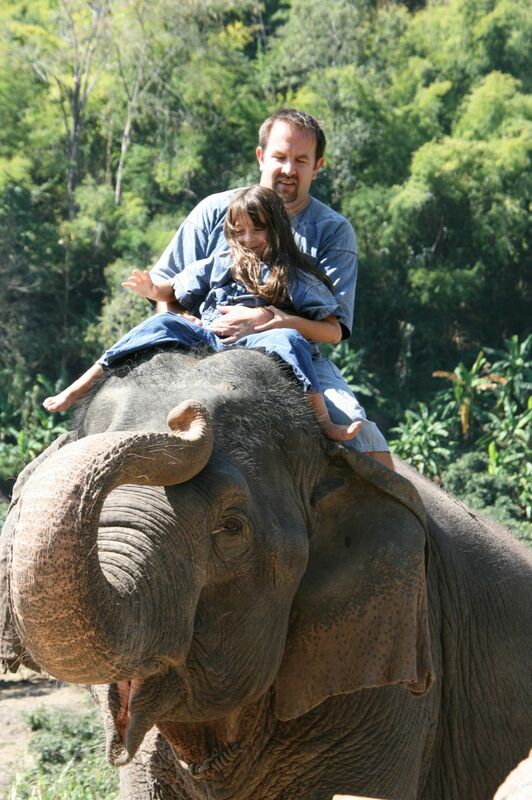 Giving a baby elephant a bath was something our daughter has been excited to do since we arrived in Southeast Asia. We've all been excited to see the elephants up close and learn more about them. 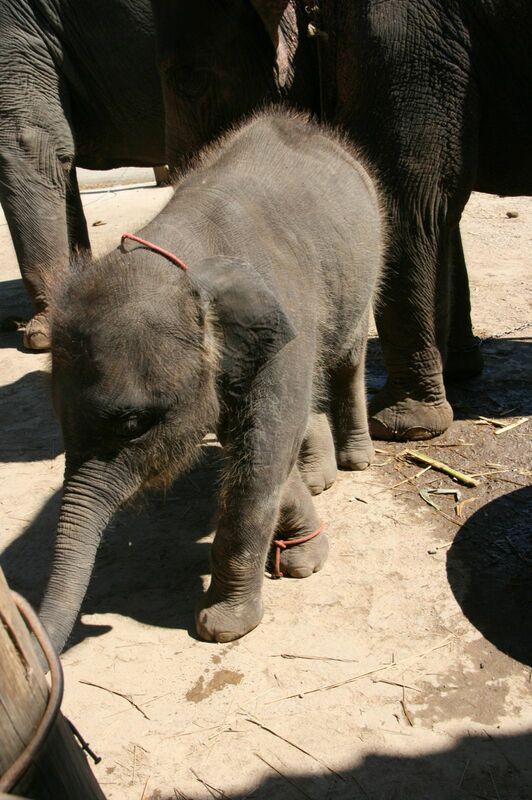 We looked at several programs and decided on one that seemed to care the most for elephants. I was told they take great care of the elephants and only allow 8 people for mahout a day. Plus it was a half day tour with the elephants and our kids are little and naps still rule our day. We were picked up in a nice van with 4 other people for the hour drive to the elephant camp. The road is dusty and bumpy and high in the jungle. When we arrived we all changed into our mahout clothes and were lead off to learn about the elephants. We got to feed them, practice getting on and off them and riding them bare back before we headed off to the river. Elephants are big, by the way! And they are not as soft as you imagine. They have bristle type whiskers all around their head. But they are amazing creatures. The kids did great getting on and off with their dad and feeding the elephants, but I could tell B had no interest in going any further than just looking at the elephants. He did not want to ride them at all. Which I was kind of glad since Cam was strapped to me and it would have been hard to ride the elephant bare back with him. So the kids and I opted for a different kind of elephant ride and watched as Nick headed off bare back down to the river. We met them down at the river and the kids excitedly jumped in to bath the elephants. 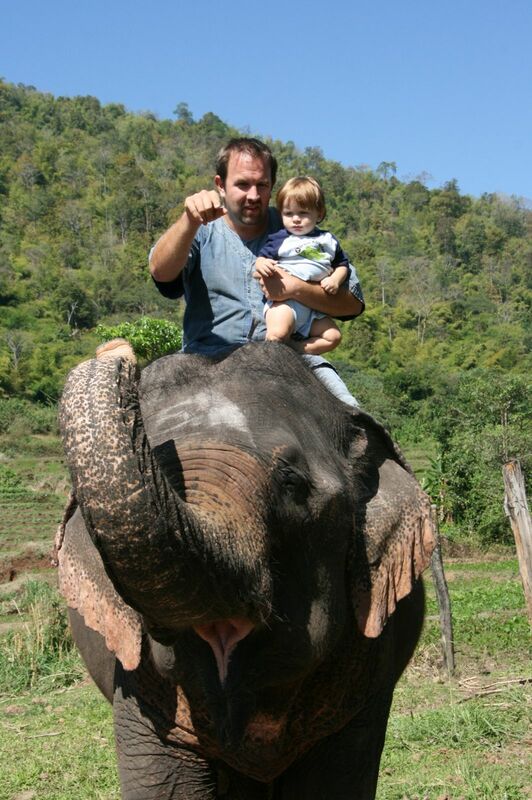 Where did you have your elephant experience? There are a number of companies offering programs in Chiang Mai.